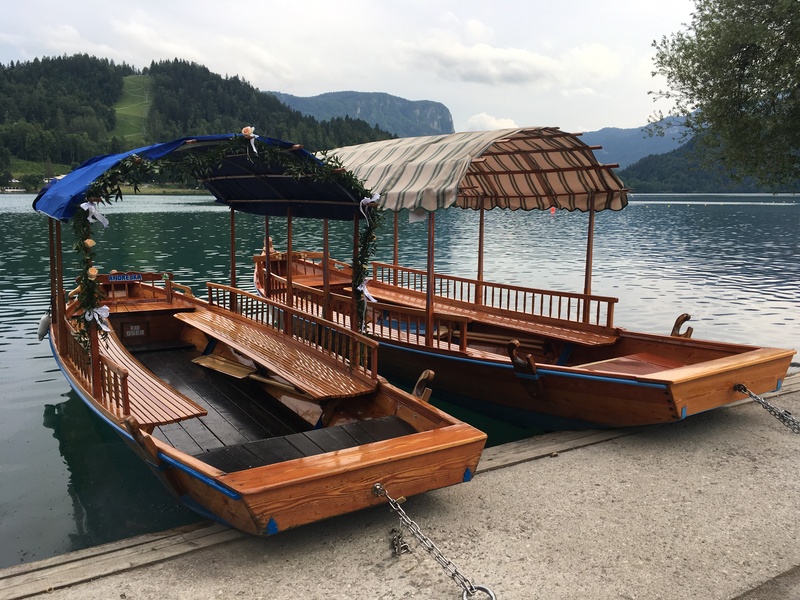 Because of the vaguest of family connections, Lake Bled has always been on my travel list. And I finally made it. It was just as pretty as it seems from all the photos. A crystal clear lake surrounded by towering mountains with your eye being drawn to the tiny little island in the center. I loved that you can walk all around the lake – it only takes about an hour – and the numerous places to stop and enjoy the view. I was very jealous of the people who chose to swim to the island – I’m not a good enough swimmer and I’m also very cautious about wild swimming when I’m alone. So I did the sensible thing and took the boat. Similar in design to a gondola, a poor man was responsible for punting me, and about fifteen other people, across the lake to the island. He was a third-generation boatman as apparently it is a profession that is pretty much only passed down through families. My time in Bled was all about the outdoors. Walking around and up and down and around. I never tired of looking at the views of the lake (and you should be grateful that I haven’t included all the pictures I took but I didn’t want to break the Internet). Oh, and the cream cakes. 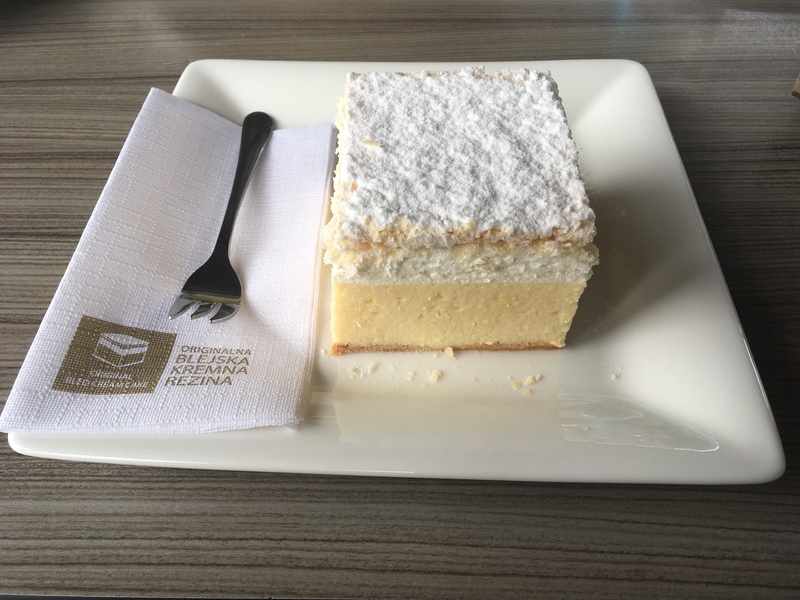 A typical Bled speciality and so, so tasty. Slovenia as a whole quickly became one of my favorite countries but Lake Bled is a magical place on its own.